Take a heroine whose family is steeped in scholarship and regularly curates manuscripts from classical antiquity. Add a wealthy collector who has banknotes to spare. 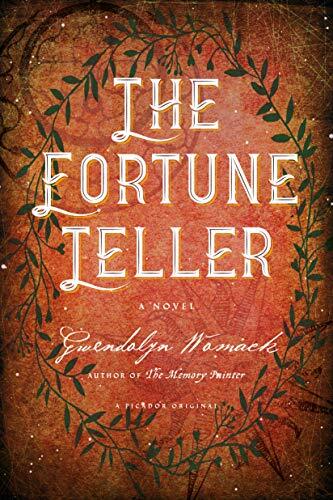 Sprinkle on occult, obscure ties to ancestors who lived three millennia ago, and you have the recipe for Gwendolyn Womack’s latest thriller. Semele Cavnow appraises antiquities and deciphers classical texts for a high-end auction house. As she is cataloging the Bossard Collection in Switzerland under the eye of Bossard’s handsome son, Theo, she discovers a manuscript from the time of Cleopatra, who was born in 69 BCE. Semele herself has had premonitions since childhood, but she had always tried to suppress them. Since her father’s untimely death—he was also a curator and may have brought about Semele’s current assignment—she’s stopped resisting. Her premonitons intensify. Ionna continues to speak across the centuries as Semele painstakingly translates from the manuscript’s ancient language. Ionna warns her, in fact. Thinking herself shielded by the crowd in a Manhattan library, she reads, “You must look up now, Semele, and stop reading. Someone is watching you.” Indeed, they are. And they are out for blood. From further back in time comes the Oracle of Wadjet’s warning, “Nothing we can do will change the story.” And so, on another level the story is about faith—in oneself, but especially faith in one’s feelings and in knowing whom to trust. It is also about trusting one’s feelings about love. Nothing in the ensuing events is accidental. “The Oracle of Wadjet had known my name . . . foreseen that I would find her treasured box . . . and the ability to divine the future.” Divination, “the mother of all knowledge,” rests in the hand painted cards at the center of the story. They are the precursors of the Tarot cards. As in her first novel, The Memory Painter, Womack has a gift for interleaving story strands from past and present. The skill may come from her background as a scriptwriter. In The Fortune Teller she transports us from Manhattan, to ancient Egypt, to gypsy camps, the Swiss Alps, the Sahara, and more. It is an enchanting travelogue in time and place. Womack takes up the theme of time travel again, not literally, but figuratively in the sense that protagonists span large epochs of historical time. Like the mystery writer P. D. James, Womack plants clues cleverly yet fairly, so that so that even sparse ones like two–word text messages pay off with an aha! of recognition that is sure to delight. Richard Cytowic is a staff reviewer at New York Journal of Books.